Ooh! Marvelous author and friend Tamara Shoemaker nominated me for the Liebster Award (which I also got in 2013)! Thanks so much, Tamara! 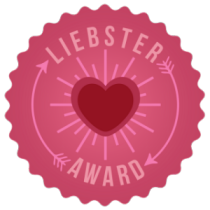 The Liebster Award is less an actual award and more a chance to meet/get to know other bloggers better (a prize in and of itself, right?). When nominated, bloggers provide 11 random facts about themselves, answer 11 questions posed by their nominator, and then think up 11 new questions to ask the three lucky bloggers to whom they choose to pass on the Liebster Award. 1. I have the worst memory ever. Like, really. Locations of items and numbers stick in my head, so people are always asking me where their shoes are or what so-and-so’s phone number is. But as to my own childhood? It’s mostly a blur. 2. One time, when I was selling Girl Scouts cookies, as I was waiting for a potential customer to answer the door, for some crazy reason I stuck my tongue on their railing. In Iowa. In February. Needless to say, it froze there. I remember panicking, thinking the homeowners were going to open their door at any second and see this little girl with her mouth adhered to their personal property. So I did what any (ir)rational child would do: I ripped my tongue off of that sucker. Yes, it bled. 3. Any memories of my childhood, such as the Girl Scout one above, tend to revolve around getting hurt, whether emotionally or physically. 4. I have never had a car accident for which I was at fault, EXCEPT when backing up. I’ve backed over my son’s stroller, my son’s bike, my son’s basketball, my daughter’s chalk bucket… I backed THROUGH the garage door once. Unfortunately, my streak of never backing into anyone else’s car ended this fall. At least it was a parked one. Oops. 6. My husband and his grad school roommate were the creators of the Oracle of Bacon, the famous online version of the Six Degrees of Kevin Bacon game. The site ended up being featured in a number of magazines in the mid 90s, and my husband even got to fly out to California to meet Kevin Bacon. 7. OK, that last one wasn’t really about ME, was it? Seriously, how much do you people need to know? Um, my favorite kind of cake is carrot cake with cream cheese frosting. Not that I’m eating any lately, since I’ve given up sugar and all. But I am salivating now at the thought of it. 8. When I was a kid, my first career goal was to be a banker, because I thought bankers had all the money they wanted. 9. I was a huge Michael Jackson fan in the early 80s. Thriller was the first album (yes, I said album) that I ever owned. 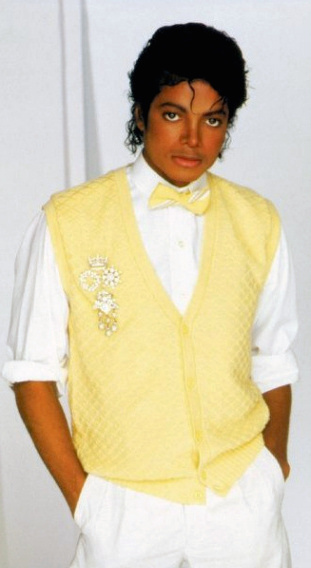 I can remember dancing around in our living room to Billie Jean PYT. I even had a Michael Jackson poster that I used to kiss goodnight. OMG, I can’t believe I just admitted that! But by 1986, the love affair was over. I’d moved on to George Michael. 10. I grew up in Iowa. Contrary to my husband’s taunts, however, I never lived on a farm, nor did I reside in a cornfield. I did detassle corn for pay. For half a day. Never again. 11. I adore cats and have since I was a baby (according to my mom). We currently have two felines and I’d have a few more if I could get away with it. But more cats would equal one less husband, I’ve been warned. So I satisfy myself with daily purrs from Presley and Scilla (whose picture you can find on my Contact Me page). 1. What would you say that other people say is your best talent? Bwah ha ha – I just asked my son what my best talent was, and he said, “TALKING.” My husband and daughter would likely concur. My mom, too. I was hoping for something like, “Your sparkling wit,” or, “Your amazing generosity.” But the crowd has spoken. And what they say is, I talk a lot. A lot. 2. What is your favorite genre to read and why? Romance, hands down. Has been since I was a kid. I just love the notion that no matter what crazy plot twists life may hold, there’s one person with whom you’re destined to end up, and that nothing will tear you apart. That idea was very soothing to a child of divorce–and still holds great appeal to me today, too! 3. If you could take the place of any hero/heroine in any book/movie, what would it be, and why? Wow! What an awesome question! I suppose I’d pick Pride and Prejudice’s Elizabeth Bennet, because she’s smart, witty, and feisty, AND ends up with Darcy. Why should a lady have to choose? I’ll take them all (don’t tell my husband)! Except Gerard Butler, actually. I’m sure he’s a nice fellow, but he just doesn’t do it for me. OK, really what I meant is, I’ll take them all to dinner. What a rip-roaring good time THAT would be. For me, at least. I do have to ask, though–where’s Colin MORGAN on that list, Tamara? Hrm. An interesting array of actresses, all of whom I like for varying reasons. I suppose I’ll go with Emma Thompson. Love the whole British thing, plus she was marvelous in Sense and Sensibility. 6. Pretend you’re making up a new language. 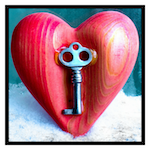 What would be the phrase for: “You steal my heart.” Tell me your process. Furari cor meum. Oh wait, that’s a real language. Du stehlst mein Herz. Rats. Another real language again. My process is, why do we need another new language? I have a hard enough time with the one(s) I know. Fine, here: “Ye steal me heart, matey.” Because we all know there’s NO better language than Pirate. 7. Explain why The Princess Bride is one of the greatest movies of all time. 8. What is your go-to activity when you’re bored/unhappy/sad? Why? Eating. 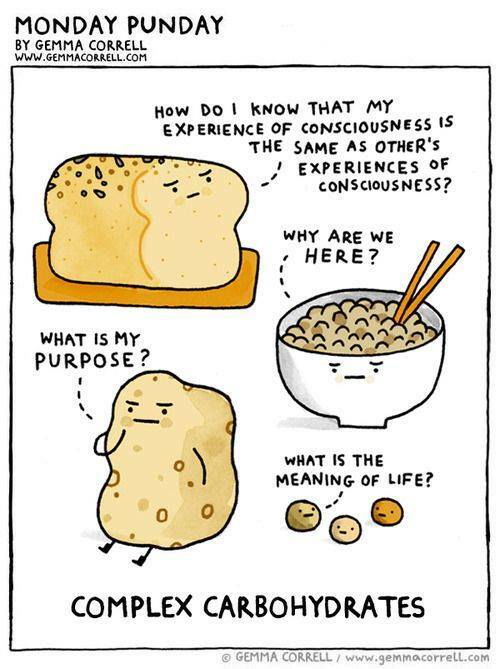 Because I excel at the self-delusion that eating feelings buries them. You’d think after 42 years of trying and failing at that, I’d opt for some other coping mechanism. Nope. Excuse me while I go snarf some macaroni and cheese now. 9. Tolkein or Lewis? Why? Um. Um. I fail at this question. Because they are two of the giants, and I’ve read so little by either. (Ducks for cover.) I have seen a number of the movies based on their works, but I hardly think that counts. So, well, again, both. Why not? 10. Favorite mythical creature? Why? I’m rather partial to Santa Claus, because he seems a right jolly old elf. Generous, too. I don’t really have a better answer–I like a great many mythological creatures, although I would say each has its pros and cons. Could I go with Doctor Who? Because at least then I’d get to time-travel. 11. What was your favorite childhood story? What was so fascinating about it? Wait, didn’t we already discuss the fact that my memory stinks? And now you’re expecting me to recall stories from years ago in enough detail to be able to tell you why I loved them? Like that’s going to happen. I do remember being absolutely enthralled with Charlotte’s Web and The Secret Garden. When I reread Charlotte’s Web recently, I was surprised again at how very sad that story is. I mean *spoiler alert*, the spider dies. DIES. And yet I loved that book so much that I asked everyone for a copy of it for my 9th birthday. I ended up owning three. The Secret Garden is a little fuzzier, plot-wise, since I haven’t read it in thirty years. But I loved it so much that I bought an annotated version of it just a year or so ago, which is moving to the top of that 1,000+ book TBR pile now. 1. If you could visit any time period in history, which would you choose, and why? 2. Do you believe in ghosts and/or other paranormal things/events? Why or why not? 3. What was the best book you read in the last year? Why was it so great? 4. What genre is your LEAST favorite to read? Why? 5. If your life story were to be made into a movie, who would you want to play you, and why? 6. Which celebrity would you be most interested in having dinner with? Why? 8. Do you believe in the concept of a soul mate? Elaborate. 9. What is your favorite form/genre of fiction to write, and why? 11. And finally, the most important question you will answer today: What’s your favorite kind of pizza? This entry was posted in Miscellany and tagged Allison Garcia, Annika Keswick, Colin Morgan, Kevin Bacon, Liebster, Margaret Locke, Nillu Nasser Stelter, Tamara Shoemaker, The Princess Bride by Margaret. Bookmark the permalink. I think The Secret Garden was and always will be my favorite childhood (and even now) book. 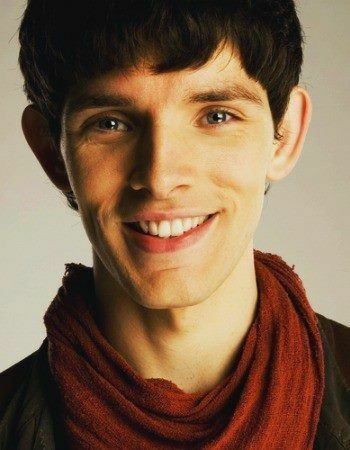 Elizabeth Bennet remains one of my favorite heroines , and Merlin will always be the best series ever made … not only because it introduced me to the phenomenally talented and admirable in other ways, Colin Morgan. Great minds think alike! Or at least ours do; perhaps we are twinsies. Thank you so much for your comments – I agree with everything you said, too! Bwah ha ha. Perhaps we are twinsies! Thank you for the kind words.